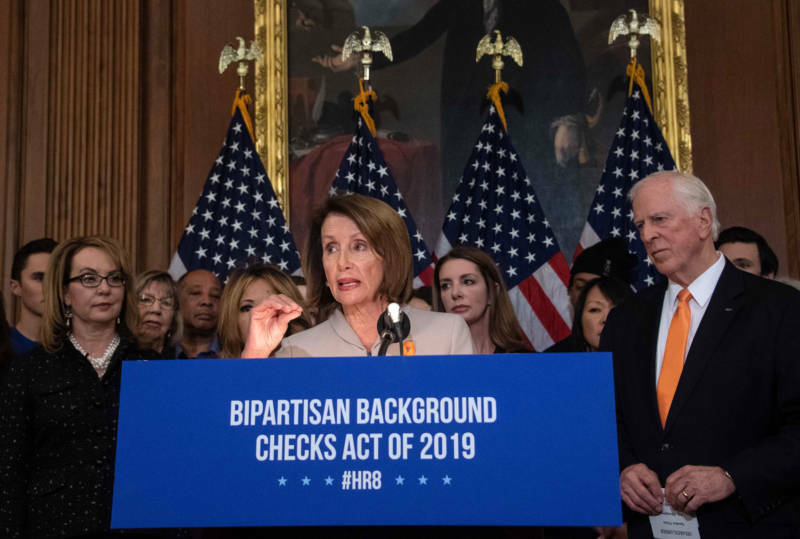 A bill expanding background checks for most gun sales across the nation was introduced on Capitol Hill Tuesday by Democratic lawmakers including Bay Area Rep. Mike Thompson (D-Helena) and House Speaker Nancy Pelosi. Announced on the eighth anniversary of the shooting which seriously wounded former Arizona congresswoman Gabrielle Giffords, the bipartisan legislation would require background checks for almost all gun sales and most gun transfers, including Internet sales, sales at gun shows and person-to-person transactions, with exemptions for immediate family. Thompson co-sponsored the bill with GOP congressmen Peter King (R-N.Y.). It also includes four additional Republican co-sponsors. Pelosi and Thompson appeared at a press conference along with Giffords and other gun violence opponents. "Stopping gun violence takes courage," said Giffords, who survived a 2011 Tucson shooting that also took the lives of six other people. "Now is the time to come together," she said. Thompson, who chairs the Gun Violence Prevention Task Force in the House of Representatives, vowed to take action on new gun control measures under a Democrat-controlled House following the mass shooting in Thousand Oaks that left 13 dead last November. The bill has support from both Democrats and Republicans in the House because "it's the first line of defense in keeping guns out of the hands of criminals and those who may be a danger to themselves or to others," said Thompson. 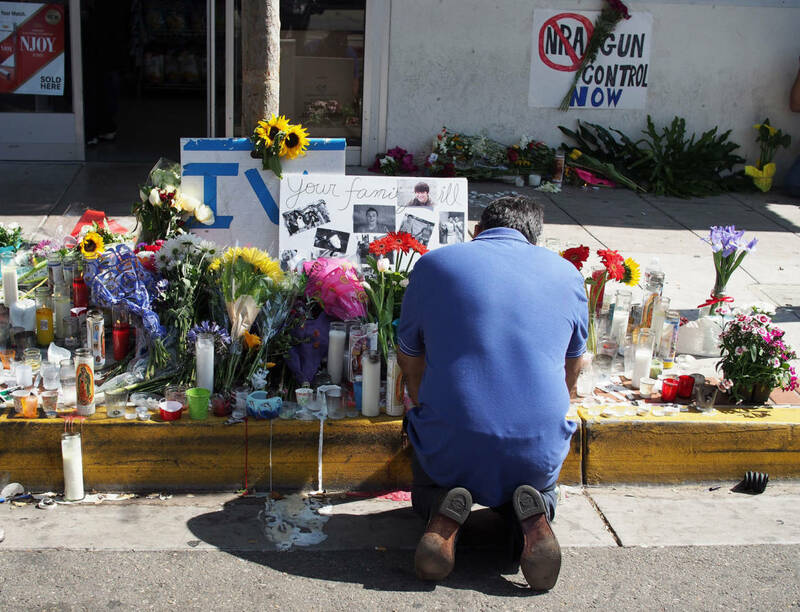 There have been six mass shootings already in 2019, according to the non-profit Gun Violence Archive. According to Giffords, a gun violence prevention advocacy organization founded by Gabrielle Giffords, 97 percent of Americans support background checks for all gun sales. "So many times after we've had a tragedy, we will go to the floor and have a moment of silence — and that's it: Silence, no action," said Pelosi. "This time, we will take action with this legislation." At Tuesday's press conference, Georgia Rep. Lucy McBath said states with expanded background checks have lowered their homicide rates. "Too often, sales without background checks, including unlicensed sales and online sales, have allowed guns to end up in the hands of violent criminals. By closing these loopholes and expanding background checks, we will make our communities safer," she said. "States that have already expanded background checks have lowered their homicide rates, their murder rates, and their gun trafficking." The National Rifle Association opposes the new legislation. "So-called universal background checks will never be universal because criminals do not comply with the law," said NRA spokeswoman Jennifer Baker. "Instead of looking for effective solutions that will deal with root cause of violent crime and save lives, anti-gun politicians would rather score political points and push ineffective legislation that doesn't stop criminals from committing crimes." The NRA said universal background checks would not have prevented any of the mass shooting events in recent years, where all of the firearms used were purchased legally or because the background check system itself failed. NRA opposition makes it all but certain that the legislation will not clear the Senate, nor have the support of President Trump. This post includes reporting from KQED's Yuri Nagano, Nina Thorsen and NPR's Susan Davis.